Stanley products are there to make our camping trips more enjoyable. And what sounds better than hanging out outdoors with a bunch of friends and drinking campfire cocktails? Stanley Adventure Happy Hour Shaker will make all that possible. It’s made from 18/8 stainless steel and is BPA-free. Also, a great thing about this material is that is won’t rust. This shaker system includes a 20 oz shaker, 2 or 4 glasses, citrus reamer and jigger. Everything nests inside the shaker, so you can pack it nicely all together and save space when travelling. 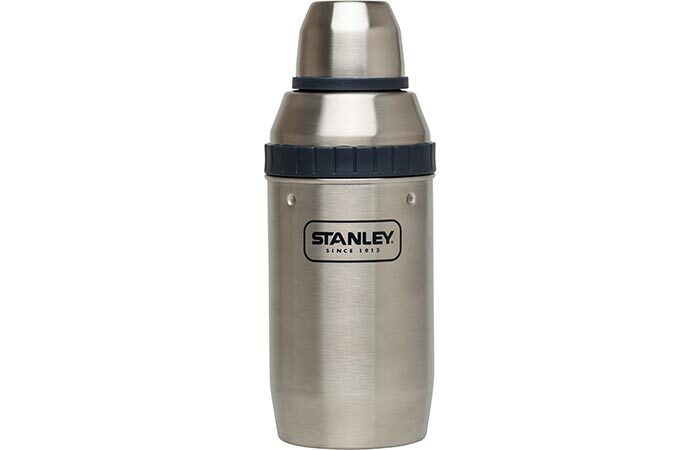 Stanley Adventure Happy Hour Shaker has a capacity of 20 oz. The glasses, citrus reamer and jigger can be packed inside it. As for the glasses, they have a double wall, so the drinks will stay cold for a longer period of time. Cleaning everything is very easy, especially because the set is dishwasher safe. 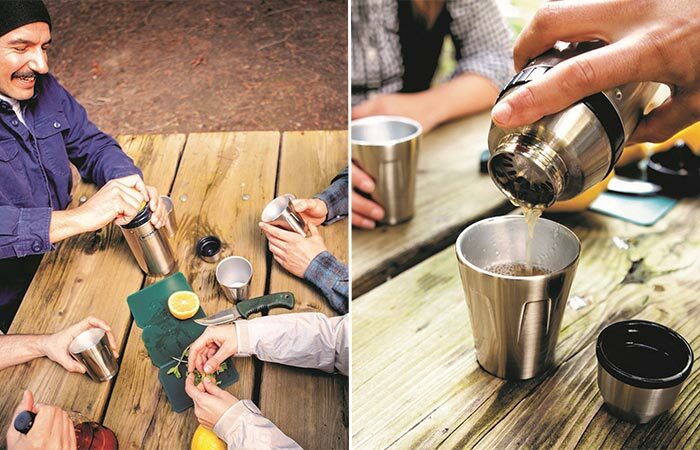 Stanley Adventure Happy Hour Shaker is very useful for going to festivals, weekend getaways, one-day trips, parties or simply for mixing drinks in your home. Stanley Adventure Happy Hour Shaker weighs 1.54 pounds and the dimensions of the shaker are 3.8 x 7.4 x 9.1 inches. This shaker set is made from stainless steel and is dishwasher safe. Check out this video to see Stanley Adventure Happy Hour Shaker in action.